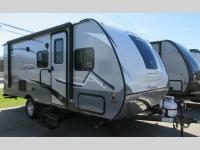 This Coachmen Apex Nano model makes camping more enjoyable for your whole family. 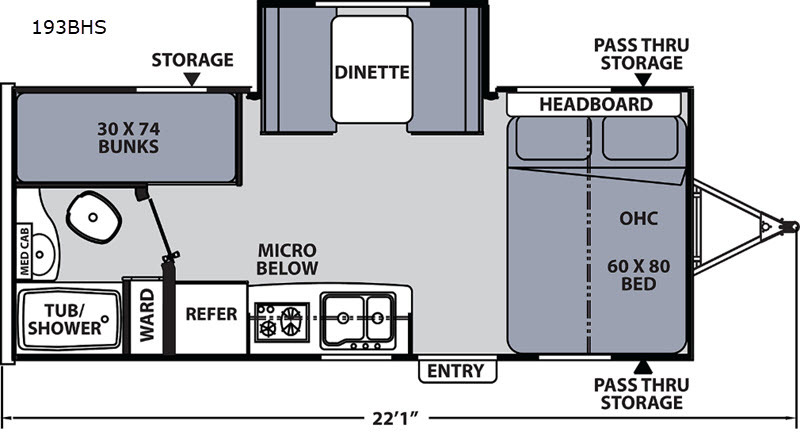 Model 193BHS offers sleeping for 5-6 with the rear bunks for the kids, a queen bed for the parents, and a booth dinette for a friend or two. The rear corner bath allows you the convenience of getting cleaned up after a fun day outside without having to use the public facilities. 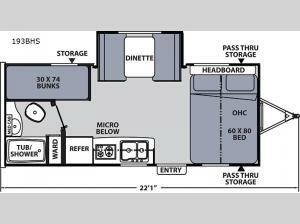 There is plenty of storage inside, and outside in front pass-through compartment for your larger items. What better way to breathe in some fresh air than to relax underneath the 12' awning while listening to your favorite tunes with the outside speakers. Take a look, you will be happy you did. 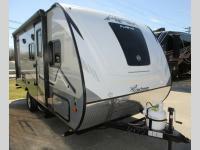 Each Coachmen Apex Nano travel trailer is super light in weight and features a vacuum bonded Azdel fiberglass sidewalls and an Aluma-cage construction with a welded aluminum framed floor. Each travel trailer contains well built Pewter Maple cabinetry with hardwood mortise and tenon cabinet door frames, as well as Congoleum diamond flooring throughout. You will also enjoy the high efficiency LED interior lighting, the AM/FM stereo with Bluetooth, the Evergreen sleep mattress, and the stainless steel microwave for you to warm up a quick snack. The skylight in each bath brings in more natural lighting and the outdoor shower helps eliminate any mud tracked through the expandable!